Dr. Zubrin graduated the medical school from the Temple University School of Medicine and did his internship at the San Francisco General Hospital Medical Center. He completed his residency program at the UCSF and is now both specialized and board certified in Surgery. 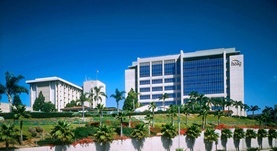 Dr. Zubrin has been in practice for more than 20 years and is affiliated with the Hoag Memorial Hospital Presbyterian. During his career, he has also contributed to three publications of medical interest. Dr. Jay Zubrin has contributed to 3 publications. Subfascial ligation of perforating veins in recurrent stasis ulceration. Lim, R. C., Blaisdell, F. W., Zubrin, J., Stallone, R. J., Hall, A. D.; Am J Surg. 1970 Mar. Surgical treatment of aortic aneurysm in the aged. A review of 100 patients. Hall, A. D., Zubrin, J. R., Moore, W. S., Thomas, A. N.; Arch Surg. 1970 Apr. Myocardial revascularization with synthetic grafts: technique for maintenance of patency and perfusion pressure. Zubrin, J. R., Hall, A. D., Thomas, A. N., Ketchum, S. A., Sanderson, R. G.; Surg Forum. 1967 Jan 01.